We Know Shipping High Performance Boats! high performance boat moved anywhere in the world. When shipping a high-performance boat, dimensions are extremely important, especially height. Some states allow 14', while others allow 13'6" for height. For this reason, the extraneous parts of your high-performance boat need to be removed and packaged separately for shipment. The boat transport specialists at Nationwide Boat Shipping will make sure that your high-performance boat is properly prepared and shrink wrapped, to keep your boat clean and safe from road debris during shipping. And if your high-performance boat exceeds the state limits, we will supply a pole car to travel with it. 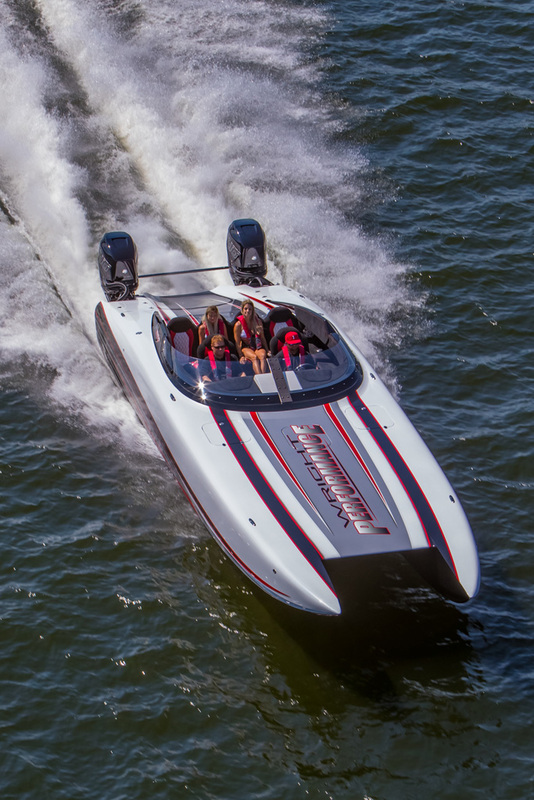 Shipping a high-performance boat can be intimidating for the average boat owner. And you certainly don't want to trust your high-performance boat to an amateur. For something this important, you need the services of a professional boat transport company. Nationwide Boat Shipping is the nation's best choice for high-performance boat transport. Our experts will property prep your high-performance boat for shipping, making sure it is ready for any state inspections, and load your pride and joy on our expandable hydraulic trailers. The most efficient route will be planned by our experts and we will take care of obtaining all permits and escorts needed to transport your high-performance boat. All that's left to do is pick your destination. Call (800) 352-8475 to talk with one of our logistics professionals for a free no obligation quote today! Nationwide Boat Shipping Will Ship Your High-Performance Boat to Any State in the U.S.
For the best in high-performance boat transport, look no further than Nationwide Boat Shipping. We can ship your pride and joy to any destination in the United States, safely and efficiently. And you will be in continuous contact with the transport crew, so you will always know exactly where your high-performance boat is during the process. Our competitive prices make it affordable to transport your boat, so you can enjoy the open water more often. So, whether you are moving to a new location, shipping a high-performance boat that you bought at auction, or heading out for a family adventure, you need the services of the boat transport specialists. "My boat is high performance and so is Nationwide Boat Shipping! They did an awesome job getting my boat moved for me!" "Without a doubt, Nationwide Boat Shipping is the company to use when getting your high performance moved from the east coast to the west coast!" "I've used other companys to move my boat before but never again - Nationwide Boat Shipping will have all my business from now on!"